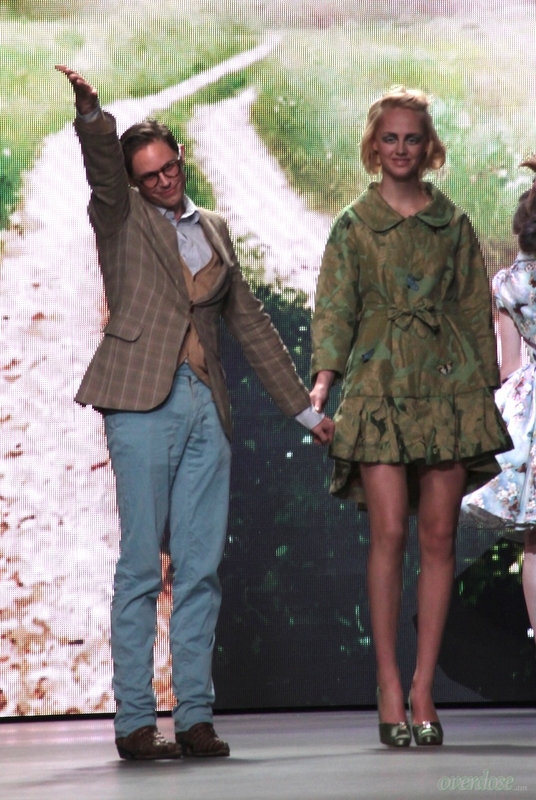 OK dear readers, I’ve been working at Amsterdam Fashion Week for three or four seasons now. Never, in all that time, did I get ‘emotional’ during a show. Not only because it’s such a girly thing to do, but because I’m from a teeny, tiny farming town in the north of the Netherlands, where showing your emotions is frowned upon. (People are very down to earth there.) 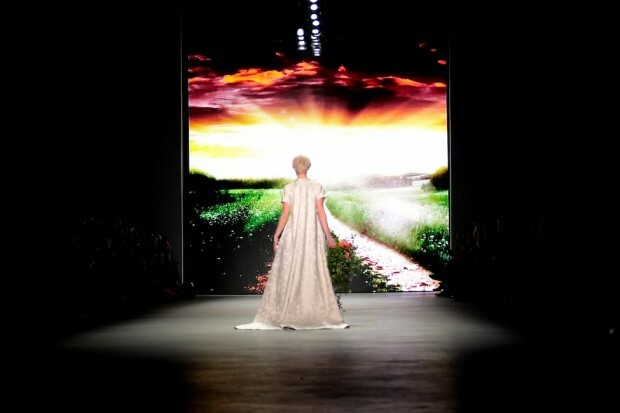 However, during Edwin Oudshoorn I did feel a lump in my throat. Good thing I wasn’t the only one. 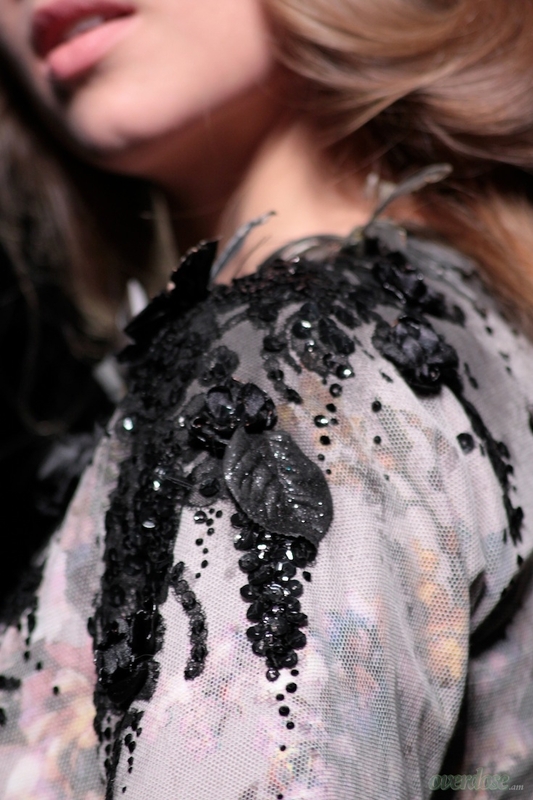 Edwin Oudshoorn is known for his dresses, the type that every girl -secretly- covets. But another thing that makes Oudshoorns shows so incredibly gorgeous is his outstanding talent for telling stories with his clothes. Now I’ll try to explain his collection to you just as story-like. Let’s start by turning on the song he used on the catwalk: Kristina Train-Dark Black. Now let’s hear the story behind the collection: one day, Oudshoorn was looking out his window and saw a man in a top hat. It was his neighbour, who was taking his wife to her final resting place. As Oudshoorn watched he pondered: “Is it okay that I’m even watching this?” but a few moments later the dark car drove off. Minutes after, another dark car parked in the exact same spot. The designer thought to himself: “What’s this? I hope they didn’t forget anything”, nothing of that sort. A wedding couple exited the vehicle. This coincidence was so strange that Oudshoorn thought: “What if I’m watching that man’s memories?”. And this is how he created the line. The setting started out with a spring background. The accompanying song goes, ‘I remember colours, painted in my eyes, green was for the springtime, blue the summer skies’. 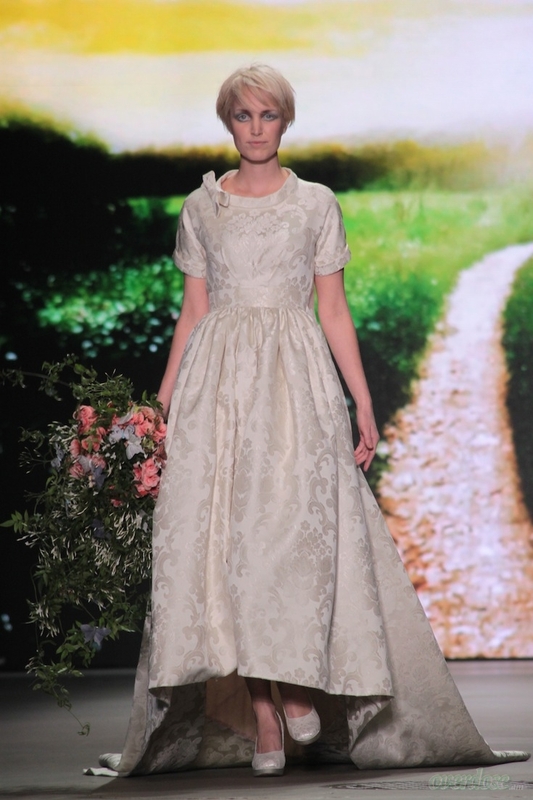 The first few dresses were green, beige and fairly light with floral design. Afterwards, the mood darkened, the dresses were frayed. Some of the fabric was burned (but do not mistake this for bad craftsmanship, I went backstage to get a better look and the finishing was taken care of to a tee). This did remind me a bit of Giles Deacon A/W 2012, but soit. One of the dresses even had ribbons on it like on a funeral wreath. 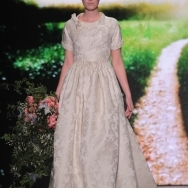 Afterwards the mood lit up again, and the show closed with a wedding dress. I won’t go as far to describe all the dresses for you, just look at the pictures, think of velvet, glitter organza and beautiful make-up while listening to the song and I hope you’ll feel a hint of the emotion I experienced.